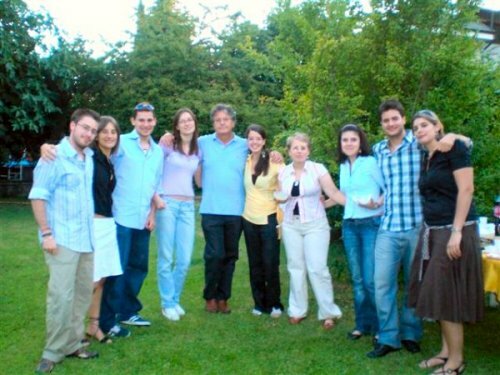 I met at my home the new national board of AIESEC Italy who will be in charge from July 2007 to July 2008. They are 11 fantastic men and women, most of whom I have already met during the past year at the various local AIESEC conferences. 1. EBBF will be the prime consulting partner of AIESEC Italy. 2. The full immersion meeting in Acuto that EBBF organises every year for AIESEC will be held from Thursday 14th of February 2008 until Sunday 17th. Over 30 students from AIESEC Italy coming from 15 different Italian universities will attend, plus 10 Bahai EBBF students, and they also asked for another 15 members of AIESEC from different parts of Europe to take part because they would like to share the EBBF/AIESEC Acuto experience and EBBF presenters with other. So in total we will be: 30 students from Aiesec Italy, 15 students from Aiesec Europe (one for each European nation), 10 young EBBF Bahais invited by me (Beppe) and 8 to 10 EBBF speakers. Total 60 to 65 people maximum. Clearly we will finalise the program at a later stage but it would seem that for this event English could be the official language. I therefore need assistance for the titles of the speeches and the possible speakers. Arthur had already been booked and will hold at least two sessions, you (Daniel) would hold another one or two but we need a couple more speakers. – May 2008 in Milan, they would like Arthur Dahl, preferably for the 9th of May.4. AIESEC Italy will send due delegates from the National COmmittee to the EBBF Annual Conference 2007 – we would ask EBBF to pay for their accommodation and they will pay for the rest. Daniel please book two places in Depoort for them.5. 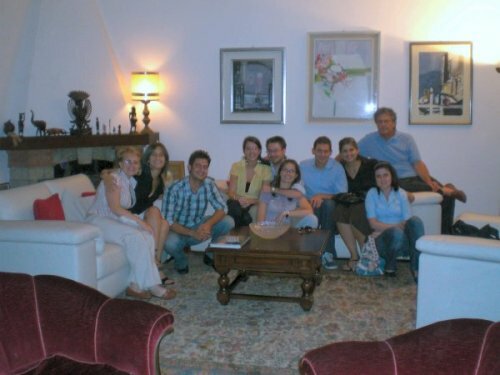 AIESEC Italy has been selected by AIESEC International to organise the meeting of all the presidents of the national committees of the world in Rome in 2009 (probably in July 2009). Arthur Dahl will be invited as one of their keynote guests.6. The national committes of AIESEC will coordinate 5 to 6 EBBF presentations in a number of local universities (Bari Economia, Napoli economia, Bocconi economia, etc ) – EBBF Italy will guarantee one speaker on one of the three selected national themes. 7. The partnership with EBBF will also be used by AIESEC inviting EBBF in the consultations for the programs and task force of AIESEC Italy.